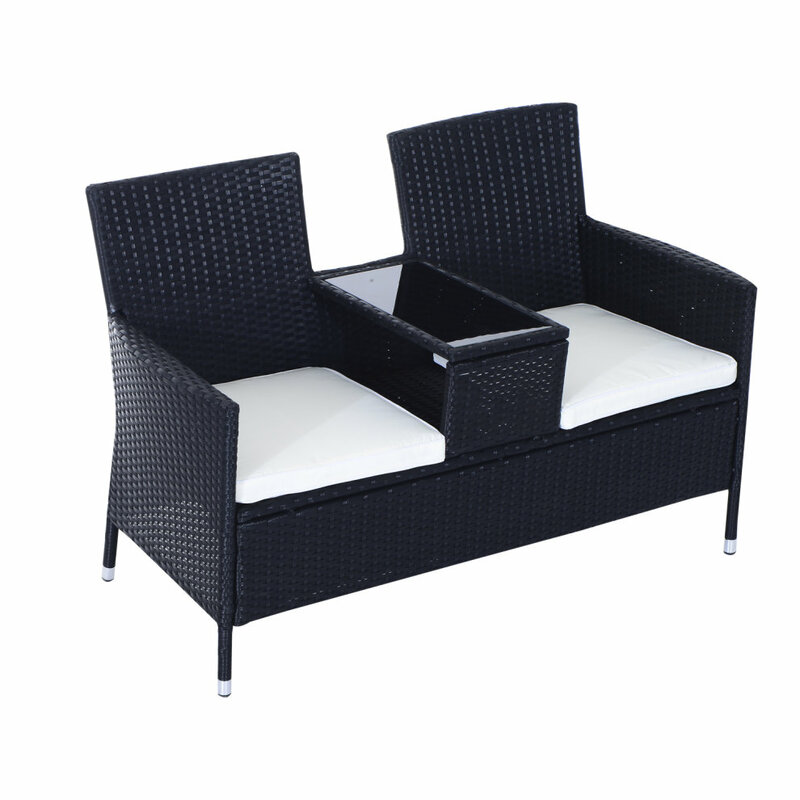 Central glass table is perfect for drinks & nibbles! 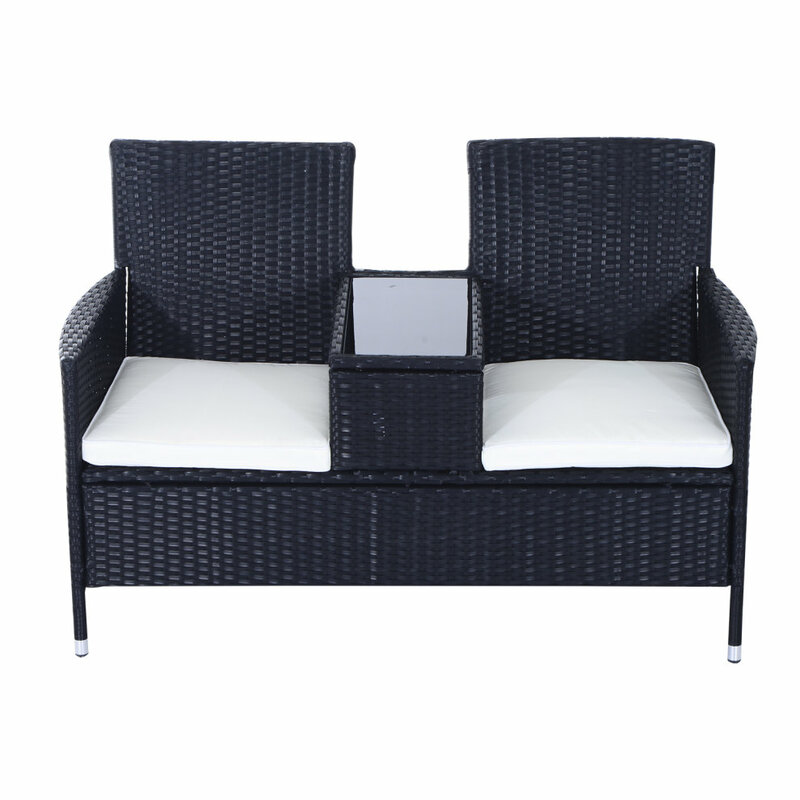 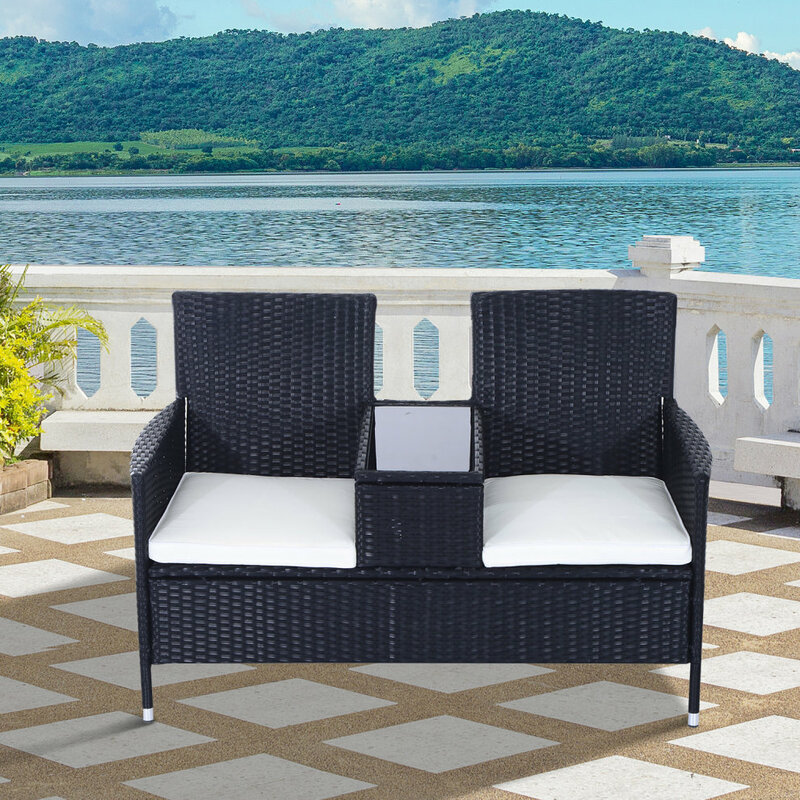 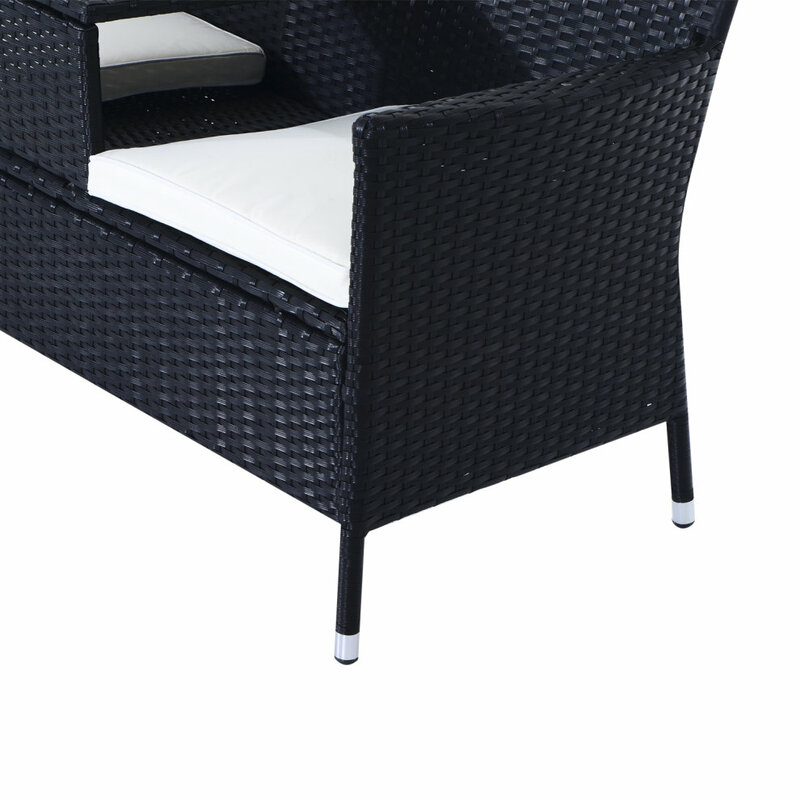 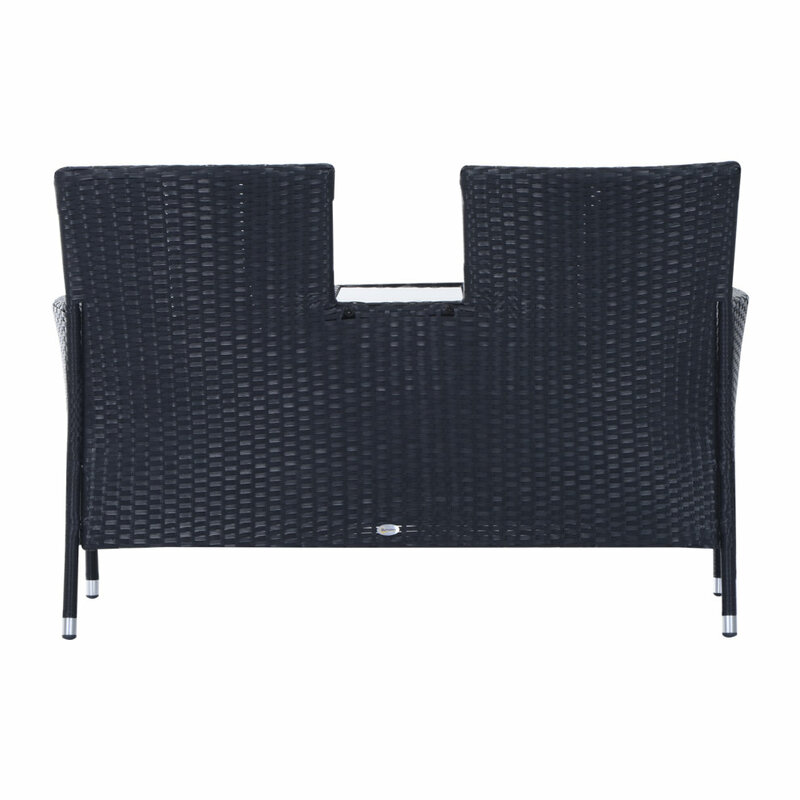 Seriously upgrade your outdoor space with an Outsunny black wicker love seat with cushions that's oh-so pretty and practical, and looks the part wherever you want it! 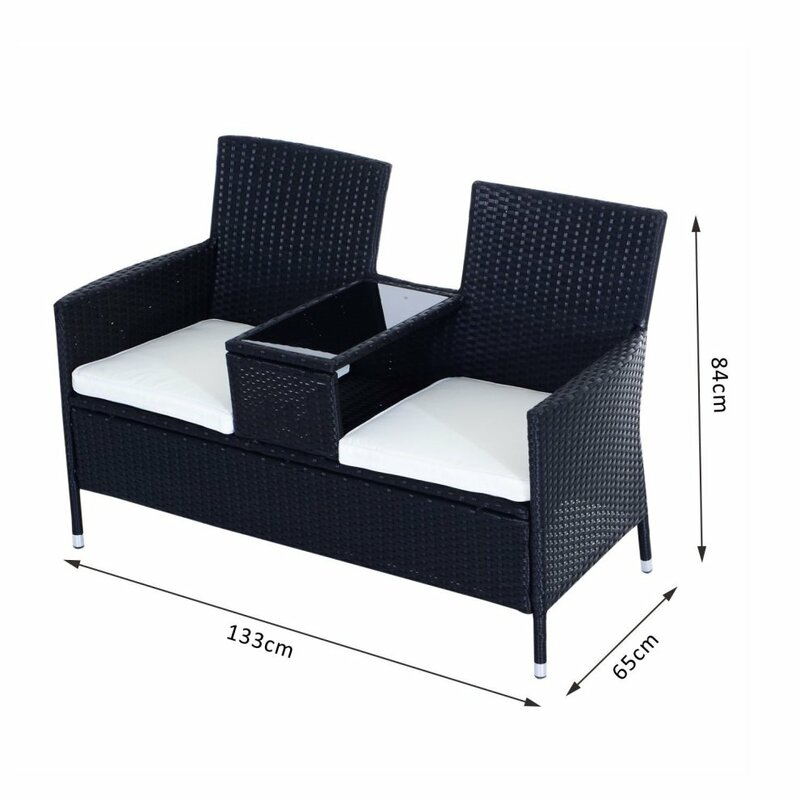 Simple to assemble, this lightweight loveseat only weighs 13 kilograms and can be easily moved around until you find the perfect spot on your patio, decking or outside space. Once you've found the right place to catch the most rays, sit back and relax with the comfy cushions and robust back that provides great support. You won't even need to get up for refreshments - simply use the central table and enjoy back garden bliss with this black wicker loveseat!